Abacus Data and the Corporate and Community Social Responsibility Conference have partnered to produce a series of public opinion and market research studies on CCSR in Canada.CCSR is a growing area of interest not only for corporations but also for community organizations, social enterprises, consumers, and government. There is a significant amount of research data from American and European sources. A new survey from Abacus Data and the Corporate and Community Social Responsibility Conference finds that when it comes to corporate social responsibility, few industries perform well in the eyes of Canadian consumers, despite high expectations from those consumers. 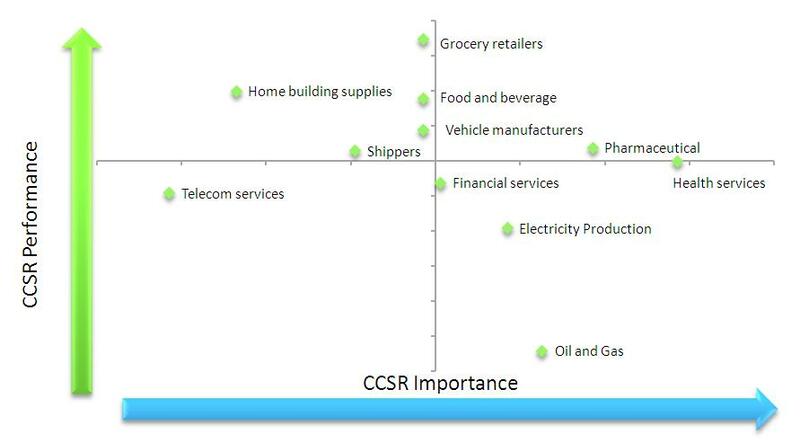 The sixth survey released as part of the year-long Corporate and Community Social Responsibility research series focused on the performance of a number of Canadian industries, the appetite for cause marketing among consumers, and the natural linkages between the corporate and non-profit (community) sectors. Comparatively speaking, Canadians were more likely to believe that it was important for the health services, electricity production, pharmaceutical, and oil and gas industries to have good social responsibility records. In contrast, Canadians were less likely to believe that it was important for telecom services, home building supplies and shipping industries to be socially responsible. When it came to assessing the performance of different industries, the survey found that few of the industries tested were perceived to perform well when it came to social responsibility. The best performing industries were grocery retailers, home building supply chains, and food and beverage manufacturers. The industries perceived to be the weakest performers were the oil and gas and electricity production industries. Respondents were then asked to match an industry with the most appropriate cause for it to support. Natural alliances did emerge from the test. Industries involved in health care services were linked by respondents with health research or children’s health care while industrial industries and shippers were aligned with environmental protection. Grocery retailers and food and beverage manufacturers were more likely to be matched with organizations that promote active living. When asked which cause was most important to them personally, 25% of Canadians surveyed said poverty reduction, followed by health research (22%), environmental protection (20%), and children’s health care (11%). Amateur sport, arts and culture, and international development were least likely to be selected with only 2% of respondents selecting each. 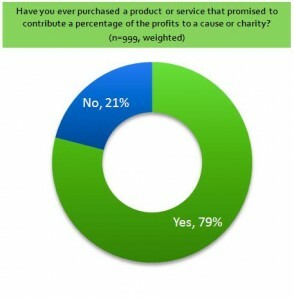 A large majority of Canadians (79%) said they have purchased a product or service that promised to contribute a percentage of the profits to a cause or charity. Among those respondents, 64% said the contribution to the cause or charity was either very important or somewhat important to their decision to purchase the product. This indicates that there is a significant number of Canadians can be persuaded to purchase products or services that are linked with social or environmental causes. Finally, respondents were shown two different cause marketing ideas: (1) a loyalty card that they could use at participating stores to earn points that have a dollar value which they can donate to a charity or cause of their choice and (2) a voting system whereby consumers can vote from a given list to help decide which causes or charities the retailer or producers should support with a major financial contribution. Overall, a majority of Canadians surveyed said they would be interested in both ideas. Seven in ten Canadians (72%) said they would be interested in the cause voting system while 62% said they would be interested in the cause marketing loyalty card. From September 23-25, 2011, Abacus Data Inc. conducted an online survey among 1,013 randomly selected Canadian adults from an online panel of over 150,000 Canadians. Since the online survey was not a random, probability based sample, a margin of error could not be calculated. The margin of error for a survey of 1,013 respondents using a probability sample is +/- 3.1%, 19 times out of 20.